One of the key mistakes for people wanting to wear make-up with their glasses is piling on the eyeliner and mascara because your eyes are taking a backseat. The truth is, just because you wear glasses doesn't mean you have to overcompensate with heavy make-up; you can use a minimal amount and still look great in glasses. The first thing to consider when choosing make-up with glasses is that you need to find something that will compliment the glasses you wear and your eyes at the same time, not overcompensate for one or the other. The first thing you need to do is look at the type of frame you use and try to find make-up accordingly. For example, if you have thick, colourful frames then you should avoid colourful and intense make-up. If you wear thinner frames, adding more colour and thicker eyeliner, for example, may work well. 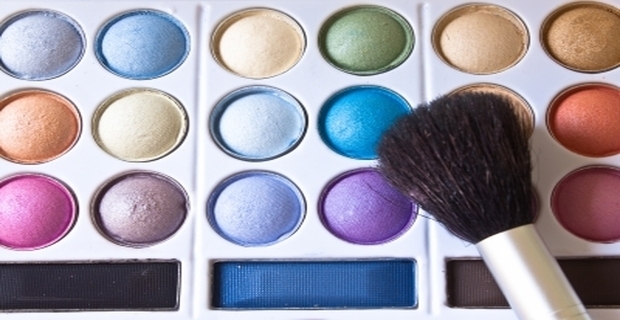 When choosing eyeshadow shades try to stick to neutral palette colours, especially if you have thick frames. If your frames are thinner, you can try using a metallic colour with a slightly darker shade. Applying eyeliner make-up with glasses should consist of a soft eyeliner on the upper and lower lids, with volumising mascara. Avoid using thick liquid eyeliner. For thinner frames and combined with metallic eyeshadow, smudge the edges of your eyeliner to blend and add depth. The most important thing to remember when wearing make-up with glasses is to try and blend your colours and eyeliner. It depends entirely on your complexion and frames in most cases, but don't be afraid to experiment with your make-up; sometimes, eyeliner on the lower lid can make people look tired, and grey eye shadows can undermine your entire look if you wear glasses. If you're looking for some top notch advice for wearing make-up with glasses you should try a free professional consultation with a beautician. These can either be done at a local store, such as Boots, or from an actual beautician shop. They'll be able to show you a range of shades and colours to compliment your look and can offer you advice on a wide range of products.